After sharing the spoils with the likes of Monaco and Reims in previous two league fixtures, Nice will be looking to return to winning ways in the Ligue 1 when they welcome Nimes at their Allianz Riviera on Matchday 22. Under 2.5 goals have been netted in each of their previous 13 league fixtures and seeing that Nimes have been struggling in front of goal of late, yet another low-scoring affair is on the horizon. Nice are undefeated in previous five home games in the French top flight and we believe that they are going to grab something from Saturday’s football match. Les Crocodiles, on the other hand, suffered a 1-0 loss to Toulouse in front of home fans at the weekend and, as a result, they dropped to the bottom half of the standings. Mario Balotelli is set to join Olympique Marseille on loan, but, anyhow, home win should be considered as Nimes suffered a dip in form. 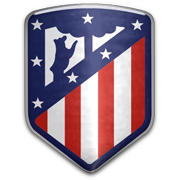 Founded on April 10, 1937 Nimes Olympique are a French club that will compete in the Ligue 1 in the 2018/2019 season. Les crocodiles were playing an important role in French football in the last 50s, with the team finishing second on four occasions (1958, 1959, 1960, 1972). 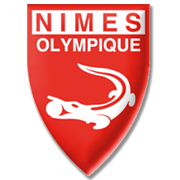 Nimes made it to the French Cup final in 1958, 1961 and 1996, but they eventually failed to lift the trophy. Nimes are well known for their red home colours, but they wear white shirts and white shorts when playing on the travels. Stade de Costieres has been the home of Nimes since 1989, when it was opened. The venue can hold up to 18,482 spectators and the construction cost €160 million. Speaking of the club’s notable footballers, the likes of Wilson Oruma, Mehmed Bazdarevic, Aliou Cisse, Benjamin Moukandjo, Laurent Blanc, Frederic Piquionne and Eric Cantona were all part of les crocodiles in the past. Montpellier are considered their biggest rivals.